If you happen to take a browse through the DN archives, it quickly becomes apparent that animation is one of our favourite forms of filmmaking, and while it’d be hard to choose one method of production ahead of the others, there’s something about the tactile feel of claymation films (not to mention an admiration for the sheer amount of patients required) that could nudge it to the front of the pack. Once you’ve narrowed things down to the claymation field, then there are few out there who do it as well as not for children’s eyes gore master Lee Hardcastle. As mentioned in the pitch video, if funded Spook Train promises no less than 10 rooms of twisted tales to satisfy your horror habit and of course a host of great rewards that you can pick up by becoming a backer. 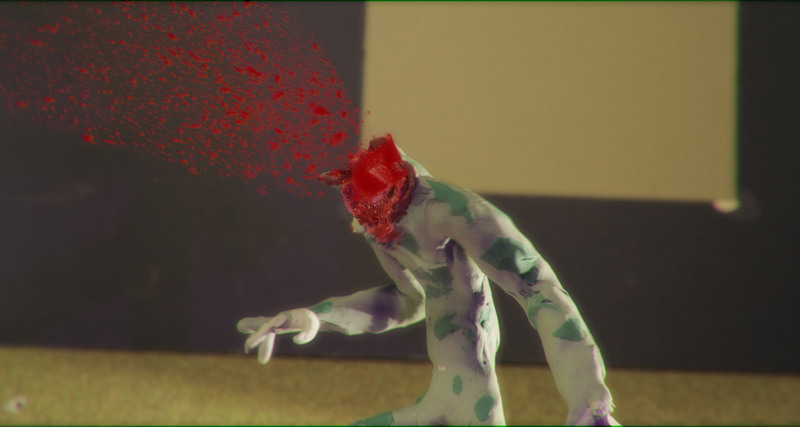 I’m struggling to think of a film that I want to see completed more than this, so if you’re a fellow fan Lee’s work or just want to see what the hell a stop motion horror anthology gorefest will look like, then jump aboard the Spook Train and pledge your support.